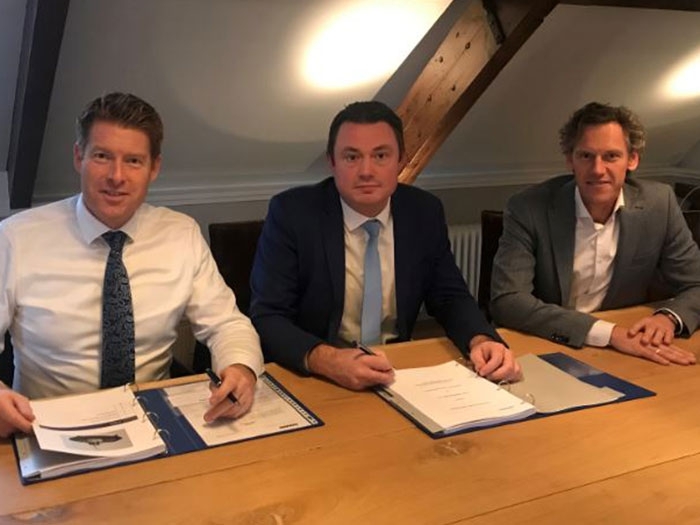 DECEMBER 27, 2018 — Netherlands-based EMAR Offshore Services has placed an order with Damen Shipyards for a Damen ASD Tug 2811. The stock vessel will be named E-Two and installed with a FiFi1 system and aft winch prior to deliveryin the first quarter of 2019 . An additional FiFi1 system and aft winch will be installed. The ASD Tug 2811 is one of Damen’s “next-generation” harbor tugs, announced in 2018. An upgraded version of the best-selling ASD Tug 2810, it has been optimized with features that include full compliance with the new stability regulations, a modular marine NOx reduction system and the Damen Digital Platform to maximize performance and reliability. With more than 60-tonnes of bollard pull and exceptional maneuverability, it is capable of taking on almost any ship-handling operation in even restricted waterways. E-Two will be the second ASD Tug 2811 delivered thus far. EMAR Offshore Services operates worldwide, with a fleet of six tugs, five built by Damen.